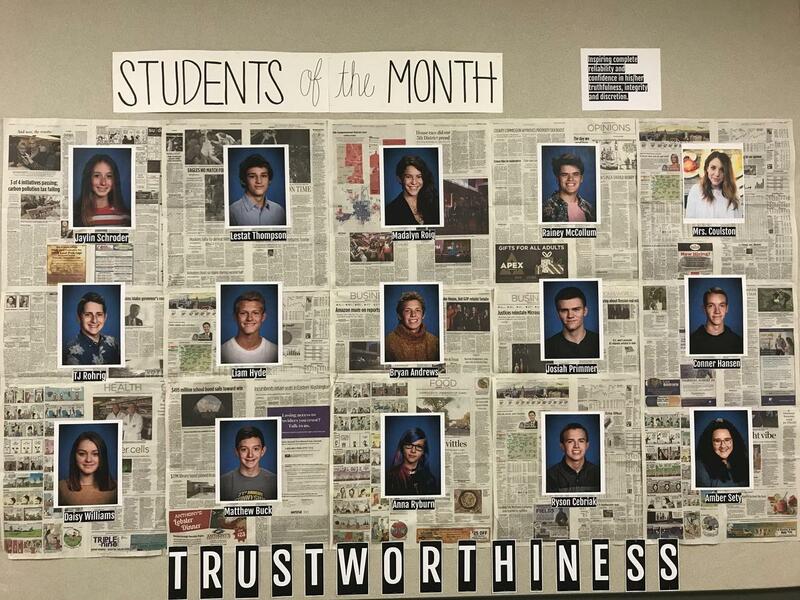 In April, West Valley Celebrates "Trustworthiness". 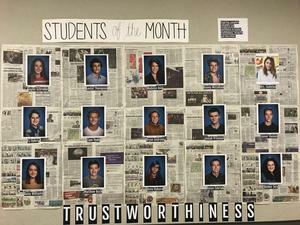 Congratulations to our Students of the Month! Starting this month, we are also choosing Teacher/Staff Member of the Month. Students will nominate teachers that they feel best fits the trait. Our first Teacher of the Month is Mrs. Coulston for being someone students feel they can go to for personal guidance.